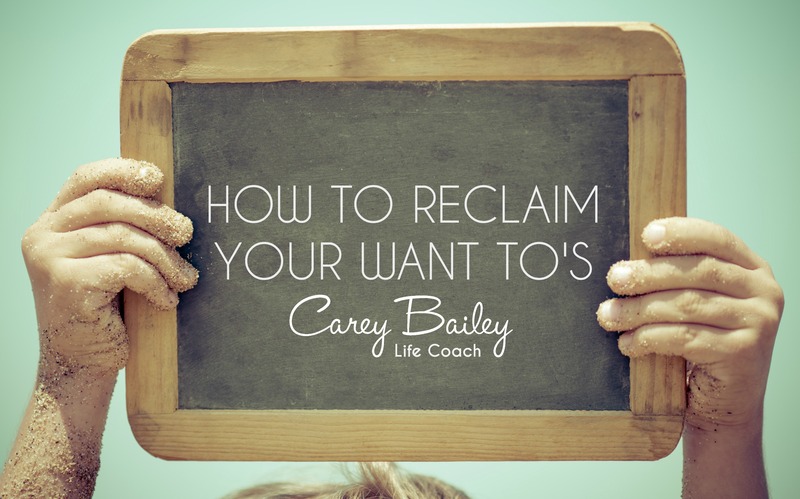 How to Reclaim Your Want To-Do’s. need to’s, have to’s, and must do’s. Do you ever wonder where our want to’s go??? Pretty cool to-do list, huh? I want to be silly with my kids, read to my kids, dance with my kids. I want to be a part of them learning their fundamentals and I want to be instrumental in their faith development. I want to date my husband and my kids. I want to have room to read and explore my creative/crafty side. I want to know my friends and their children. I want us to love God and reflect Jesus to others. But unless I pursue my “want to” list as diligently as I check off my “have to” list, those things won’t just magically happen. Let’s burn our to-do list and be done with a life of check-marks FOREVER!!!! Let’s give up that life of cleaning and laundry doing!!! Let’s eat out every night and never worry about another dish to clean or meal to cook? I think we all would do maybe one or two of the above if we could, but there is the looming reality that we know we can’t. There are duties in our day that simply must get done. What I would like to propose is that there is no reason that our duties in our life can’t date and hopefully marry our passions. Opposites attract, right? I took a look at my consistent “have to’s” and thought, what things on my “want to” list can I do at the same time as my must do list? Here are a few of mine. Please, please remember this is what is working for me. Don’t try to insert them onto your list. Find what works for you. 1. Over breakfast at our island, as I work on emptying the clean dishwasher and tidying up after breakfast (must do), I ask my kids their prayer requests for the day (want to), and jot them in a very boring composition book. I date it, write the child’s name, and their prayer request. As they share about their requests, which are typically pertaining to the various dogs in our family, we have room to talk about prayer as a conversation (want to). I share my requests for the day and then we pray together (want to). It is not a bow your head, fold your hands kinda prayer, but rather an eyes wide open, still doing stuff prayer. I want my kids to see this. I want them to know that you can talk to God as you talk to each other, and at any point of your day. 2. Most days we have to go somewhere. We might be making a run to Target, a doctor’s appointment, a trip to the post office (must do’s) and in Phoenix any place you travel to can equal 20 minutes or 45 minutes. Multiple red lights are involved. Red lights equal some fundamentals check (want to): “Let’s say our phone number and our address.” “Let’s count in 10’s or let’s spell our full name.” I typically try to do this in a funny game show host type of voice and pretend I am holding a microphone (want to), which gets some great giggles going (want to). I want them to know that learning is fun and I want them to know that learning doesn’t stop and start just when you are sitting down in a classroom type setting. 3. After attending Vacation Bible School this summer, I watched each kid get a new twinkle in their eye when it came to scripture memory. I really wanted to work on it more with them, but we needed more space to review it than just the dinner table. Back to the land of errand running (must do’s). I thought let’s practice our memory verse every time we put the car in park and every time we take the car out of park in a parking lot (lots of P’s in that sentence). We can all tend to have a “let’s go, let’s go” mentality when it comes to getting in and out of the car, and this is making us slow it down. And before you think “But, I don’t have time!” take a moment to breathe. Seriously, practicing a few word scripture verse in a few funny voices takes MAYBE 1 minute. So you are adding 2 minutes to your time BUT you are getting a WANT TO crossed off. It is two minutes well used. Are you getting the idea? 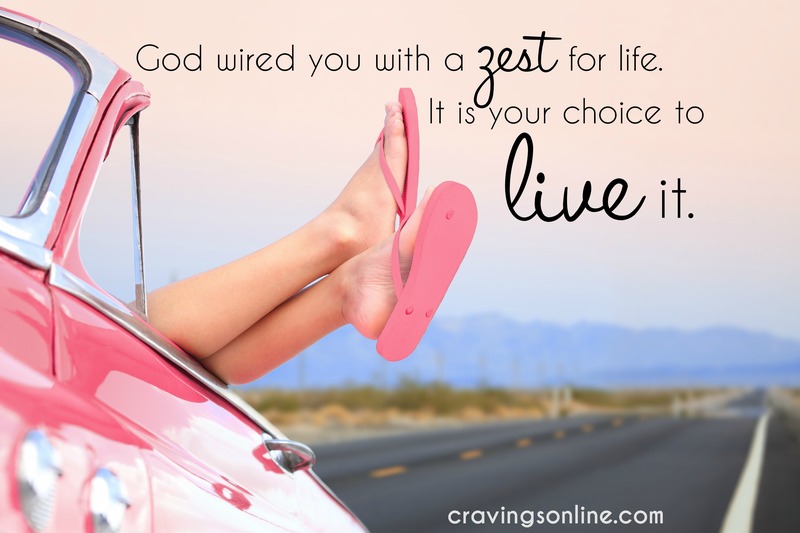 What are things in your everyday have to-do’s, must do’s and need to’s that you can add a sprinkle of want to’s? Other places I have created partnerships are when I open the fridge, when I am exercising, and when I am cooking dinner. Look around today. I bet you can find them. Grab your “must-do’s” and introduce them to your “want-to’s”. This is the kind of arranged marriage that works! Don’t forget about the over 40% deal going on for Pocket Planning. 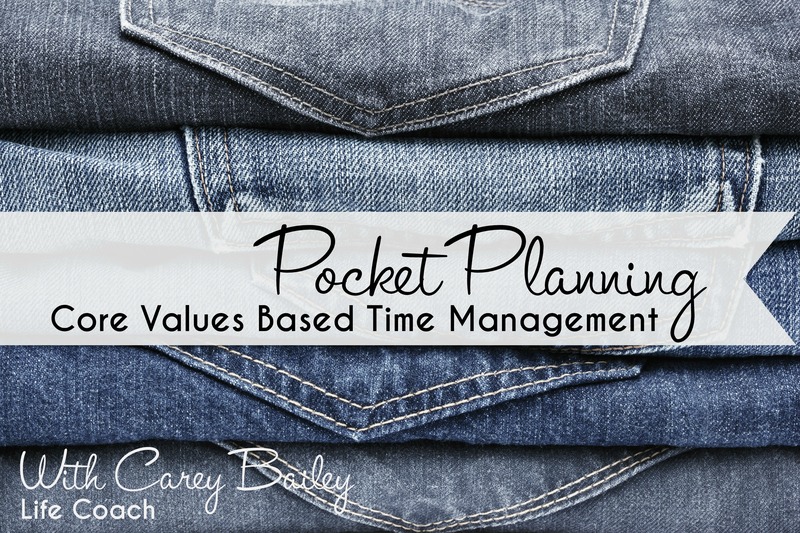 Head into the school year with a core values based time management plan.